Be the first to review this 2019 Ford Transit Connect Van. The Ford Transit is plain-looking cargo or passenger van that emphasizes the interior space it so lavishly provides. It’s available with two wheelbases, three body lengths, and three roof heights, and also can be configured with a chassis or cutaway cab. It’s comfortable enough for long hauls. It’s unchanged for 2019, except doors that open wider in some configurations. The Transit is all about individual configuration. Most vans leave the factory with unfinished details, to be completed by a contractor. Base vans are bare bones, with vinyl seats and inexpensive but rugged interior materials, although cloth seats and audio systems are available. Passenger vans can carry up to 15 people including the driver. The wheelbase is either 130 or 148 inches. The base engine is a 3.7-liter V-6 that makes a strong 275 horsepower and 260 pound-feet of torque. An optional 3.5-liter turbocharged V-6 makes 310 hp and 400 lb-ft, while a 3.2-liter 5-cylinder turbodiesel makes 185 hp and 350 lb-ft. All engines are paired to a 6-speed automatic transmission, with rear-wheel drive only. Transit vans get better fuel mileage than most pickup trucks. The Ford is EPA-rated at 14 mpg city, 18 highway, 16 combined, with the base 3.7-liter V-6. The turbocharged V-6 with more horsepower and much more torque (which means better towing and more cargo-carrying), doesn’t pay a penalty for its power, at 15/18/16 mpg. The 3.2-liter 5-cylinder turbodiesel isn’t rated by the EPA. The NHTSA gives the Transit four stars for frontal crash protection and five stars for side protection. The models with the highest roof get only two stars for rollover safety. The IIHS hasn’t tested the van at all. Standard safety equipment includes airbags, stability control, and a rearview camera. Blind-spot monitors and rear parking sensors are available on most configurations above the base models, both of which we believe are necessary with a vehicle like this. Most of the Transit vans will be custom-ordered or customized for specific work detail. Available in passenger, cargo, chassis cab, or cutaway configurations in multiple wheelbases and roof heights, Transit vans come out of the factory all mixed. Base vans are equipped with vinyl upholstery, air conditioning, a rearview camera, and power windows. Passenger versions can add increasing creature comforts such as leather upholstery, navigation, a 6.5-inch touchscreen, better audio, and rear climate controls. Chassis cab versions have seating for two. Pretty much everything else is added after the van leaves the factory. Any passenger van is basically a big box attached to a carlike front end, giving it a relatively long snout. The 2019 Transit shows some refinement in the styling that was missing in previous years. Ford designers have found some balance between functionality and visual flair, with character lines on the side to temper the running boards. As a result, the Transit’s lines are less truck-like than rivals from Chevrolet, Ram and Nissan. Whether vinyl or cloth, the arm-rested front seats are comfortable for long periods behind the wheel. And the cabin is convenient, with a lot of storage bins for small things, or even space for a tablet computer. When equipped as a passenger van, the rear seats are spacious while also being comfortable. The maximum configuration can carry 14 passengers plus the driver. Soccer coaches and moms, take note. As a cargo van, the Transit offers up to 487 cubic feet of space. A regular, long, or extended body is available with a low, medium, or high roof, depending on wheelbase configuration. A tall roof van can hold cargo as tall as 74.3 inches, which is tops in its class. That also means a 6-footer can stand up in the back, if your configuration of choice is as a camper van, or delivery van. The low windows afford good outward vision, while the rear doors swing open more than 250 degrees. But, naturally, it can be loud inside, especially as a cargo van. 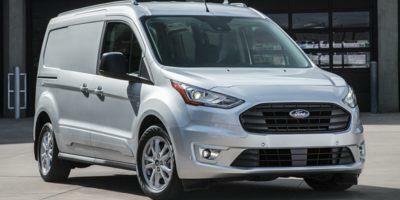 The base engine, the 3.7-liter V-6 that’s used in many Ford products, makes 275 horsepower and 260 pound-feet of torque, which is plenty for a van like this. That said, the upgrade engine is a turbocharged 3.5-liter V-6 with a lot more power, 310 hp and 400 lb-ft of torque; and since it gets the same fuel mileage, the only downside would be its cost. So it depends on how badly you need or want enough power or exceptional power. The turbodiesel, presumably (it hasn’t been tested by the EPA), gets the best fuel mileage. But it makes less torque than the turbo V-6, not that its 350 pound-feet isn’t a lot, rivaling a good V-8 truck. The 3.2-liter inline 5-cylinder makes 185 hp, much less than the 310 hp in the turbo V-6. This engine is really a fleet workhorse, intended to be used for hundreds of thousands of miles. With the right equipment, the Transit can tow up to 7,500 pounds in cargo, chassis, or cutaway cab configurations. A 6-speed automatic transmission drives the rear wheels. If only the Transit came with optional four-wheel drive, it would be so much more useful, for winter, camping, or outdoor sports like skiing, kayaking, or mountain biking. The 6-speed is competent, more deliberate than quick. The Transit rides well, but handles like a tall van. The steering is a pleasant surprise, being nicely weighted. The van won’t be comfortable in canyon curves, but that’s not really its job. The first challenge is deciding if a van like this is the vehicle you need, then it’s a matter of comparing the Ford Transit to rivals from Chevrolet, Ram, Nissan and Mercedes. The Transit looks good in the powertrain department, especially that turbo V-6, and in handling.